While I did enjoy the movie, this is one of those comedies that I don’t see myself watching a second time. Mostly because I don’t think I’d find the jokes all that funny a second time around. Well, that’s a lie—there is an exception of the one family lunch/dinner scene where a misunderstanding due to a heavy accent happens, but then again, that’s the only scene I think I could actually watch a thousand times and still find hilarious. This is also one of those movies that I don’t have a lot to say about, mostly because the content is pretty straightforward and is laid out for you in the trailer. Overall, this movie is probably good to unwind to, but I wouldn’t say it’s really memorable. Melissa McCarthy’s character, I thought, was pretty similar to the one she played in Identity Thief (2013)—obnoxious behavior explained away by a troubled past. She plays it well, but I’m curious to see if she will continue ending up with similar characters in the future. For the most part, I felt that the movie itself didn’t add too much to the trailers; I think that if I had known what I would receive, I could have waited until this came out on DVD. I guess one could say that for a lot of comedies, but some comedies I think are worth watching on the big screen. I wouldn’t say that this is a movie where some people would want to fast-forward through some parts, but at the time of writing this review it’s been about two weeks since I’ve seen it, and it’s funny how much of it I’ve forgotten compared to other films I watched at around the same time. I suppose that can be an indicator as to how memorable I found this movie. Good review Rae. It’s a comedy that actually had me laugh. That’s all I wanted, and that’s all I got. So therefore, I was a happy dude. 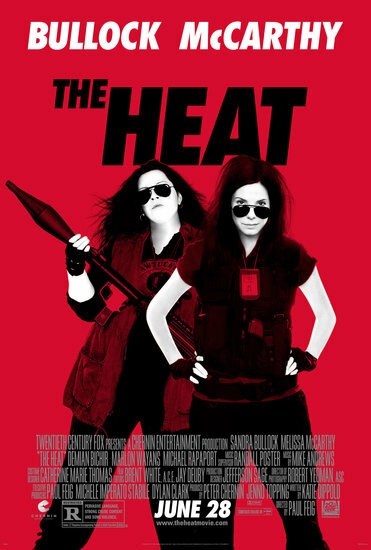 I am not a big Melissa McCarthy fan so I think I will pass on this one. Yeah, probably a good idea if that’s the case.